Barry has a busy basketball week! 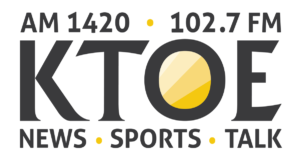 busy basketball week here on ktoe and the fan…Tuesday night the Loyola boy’s team hosts Cleveland at fitz gym at 7:15 on the fan am 1230…I will be there with Loyola and the clippers…logan will be on ktoe from Owatonna at 7:30 Tuesday night with big 9 league leading Mankato east. Wednesday night at 7:15 on ktoe it’s a battle for 1st place in the UMAC with Bethany hosting northwestern of st.paul. Thursday night on ktoe it’s red wing aty Mankato east in boy’s basketball at 7:30. this weekend msu basketball and hockey are both home !!! stay warm ….have a great week…thanks for listening ! !